Nothing beats the beauty of Japanese singles. If they weren't so damn expensive, I would buy much more of them. The attention to detail on these things is astonishing and they often have different sleeves. Sometimes even different tracks! 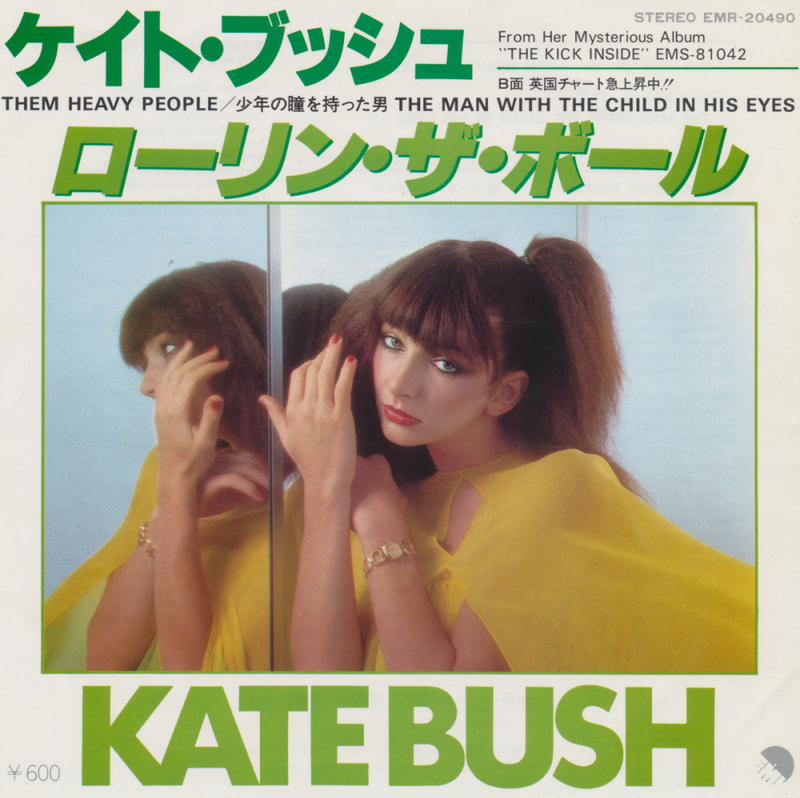 This single of Kate Bush features the album version of 'Them heavy people', instead of the live version that was released in Europe over a year later. Both tracks on this single were taken 'from her mysterious album', as it says on the cover. Which is a bit funny. Despite being 40 years old, this single still plays like it is new and that's what I love most about this single. When I spend a bit much on a single I want it to sound good, and this one does. It's all part of my effort to buy more Kate Bush singles, a special part of my collection because Kate Bush is one of my all time favourite artists. 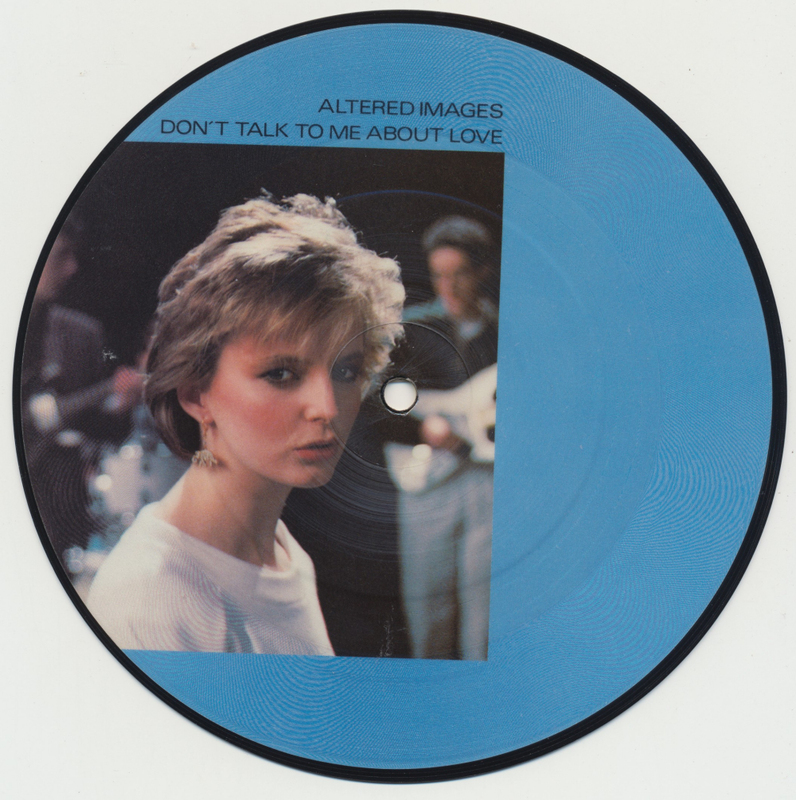 Another band I've seen live at the beginning of this century, was Altered Images. Actually, it was only Clare Grogan because the rest of the band didn't participate in the Here & Now tours that went around the UK arenas back then. Of course, I already owned 'Don't talk to me about love': I bought the 7" single in 1989 and the 12" single about a decade after that. I didn't know about this picture disc, so it was a nice surprise to find this one. 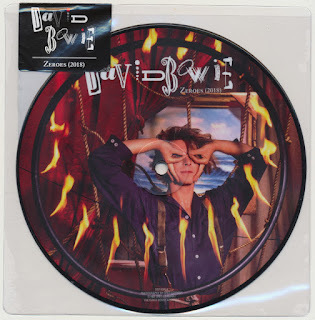 It was even nicer that I thought it cost 3 euros - all the other picture discs seemed to cost that much - and was charged only 1 euro. Just like Could it be I'm falling in love, 'Everlasting love' is a cover version - originally recorded by Love Affair - and was produced by Ricky Wilde. 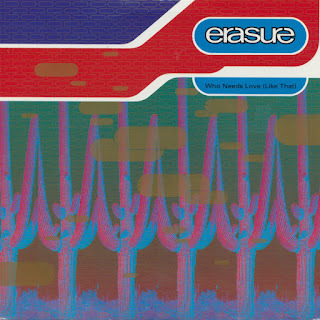 It also sports a poster sleeve, which is always a nice incentive for me to buy a single. 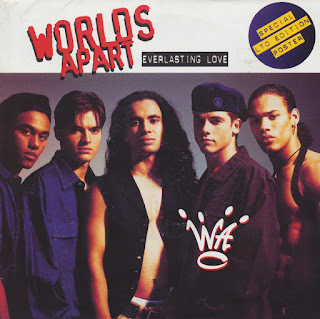 'Everlasting love' was of course also covered by German singer Sandra a few years earlier. 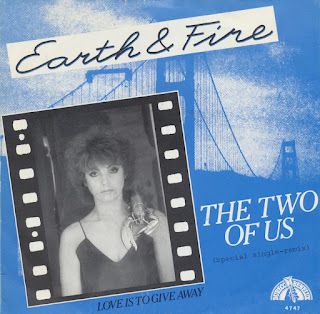 Unusually, this 7" single also features the 12" club remix on the B-side. 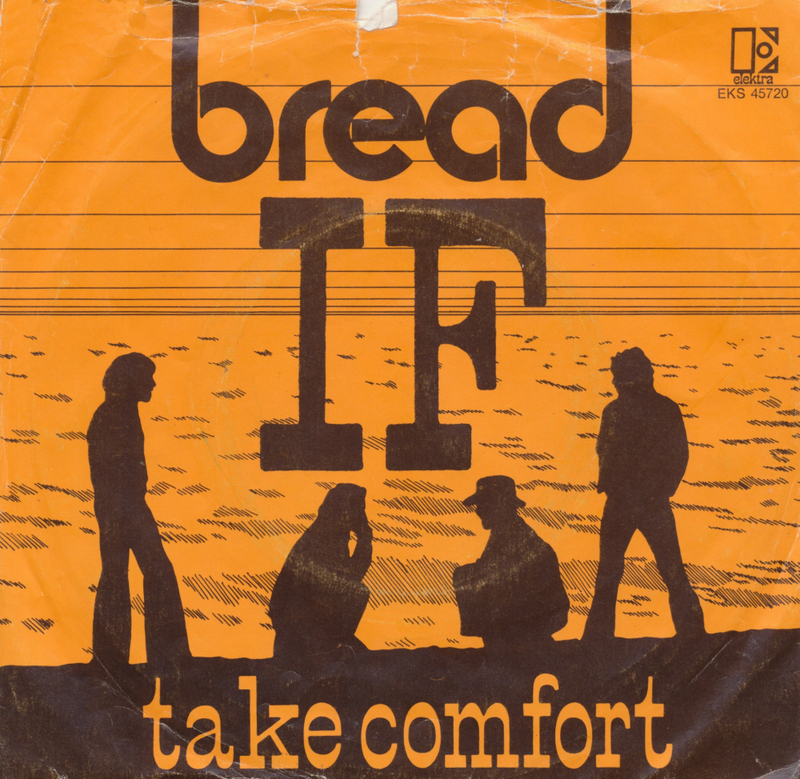 It was one of the signs that record companies were becoming a bit confused by their own formats. This past summer was hot. While we are enjoying the last few rays of sunshine, here's a sunny summer track. 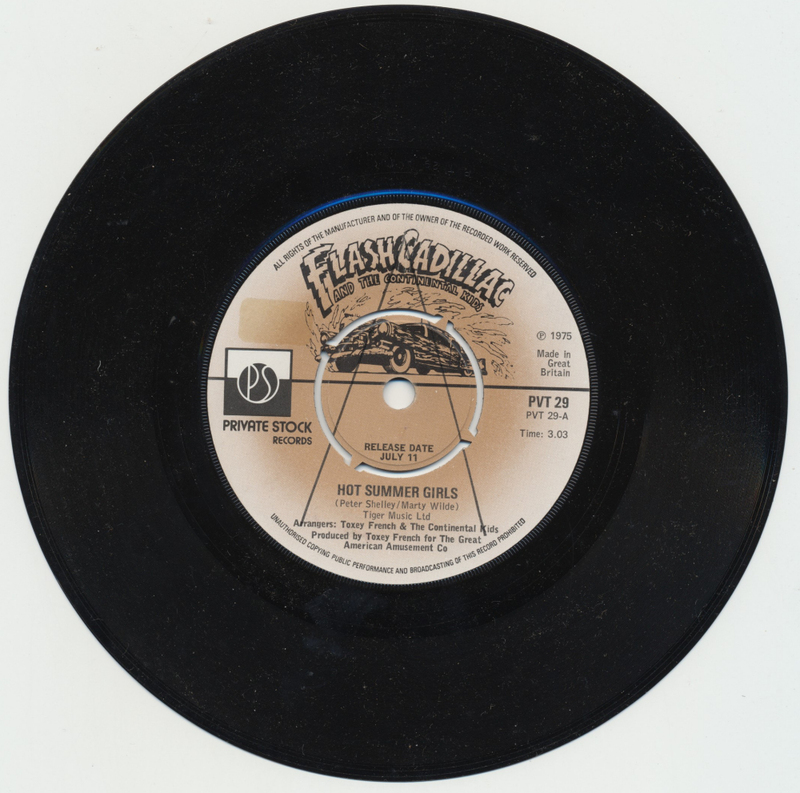 Recorded by Flash Cadillac & the Continental Kids in 1975, 'Hot Summer Girls' was a cover version of a song written by Marty Wilde. 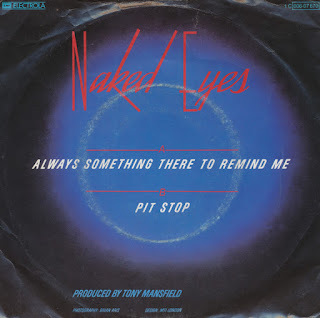 I knew about this single but didn't buy it online because with added postage it would become a bit pricey. 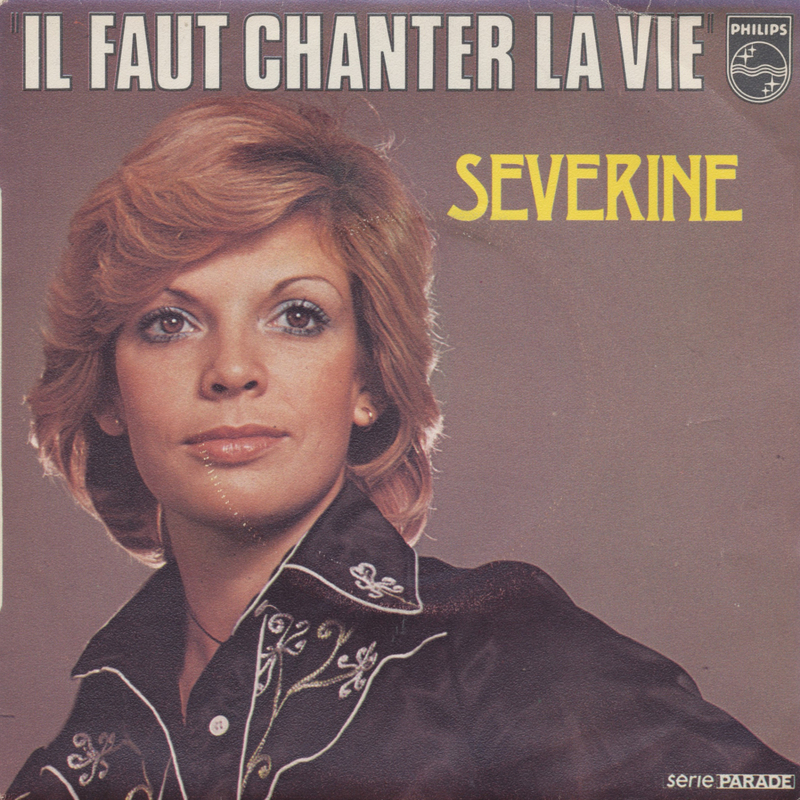 I was very pleased, therefore, to find this single for just one euro in a local free record fair. 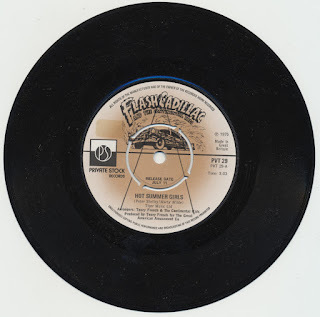 Flash Cadillac & the Continental Kids started out in 1969 in Boulder, Colorado (USA). 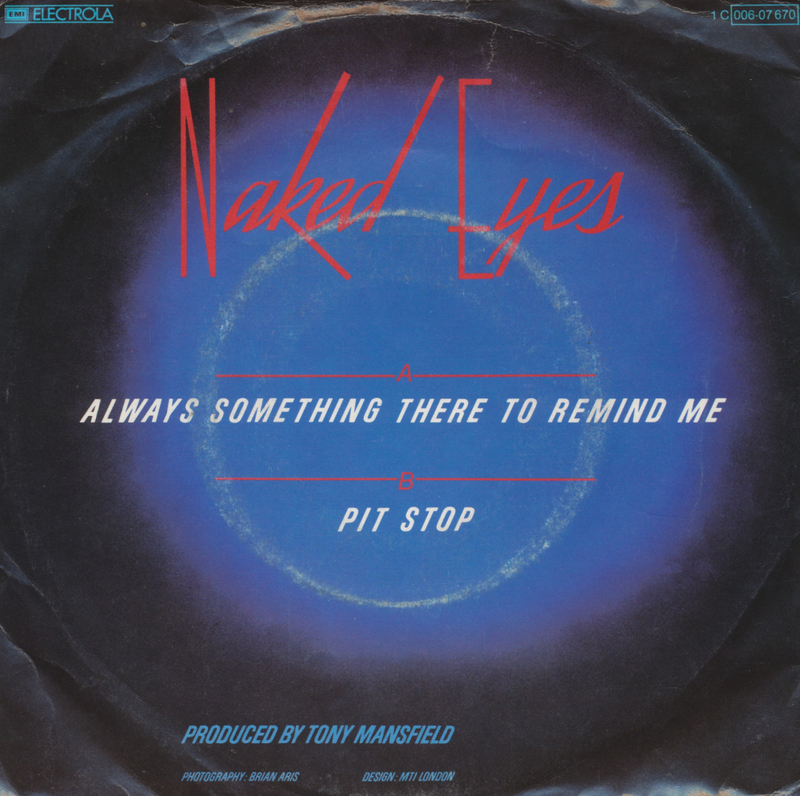 They got their name from Hughey Plumley who spent most of his time in the back of a Boulder bar, The Sink, and who entertained himself by creating names for bands. The band released five albums between 1972 and 1988. 'Hot Summer Girls' appeared on their third album, 'Sons Of The Beaches'. 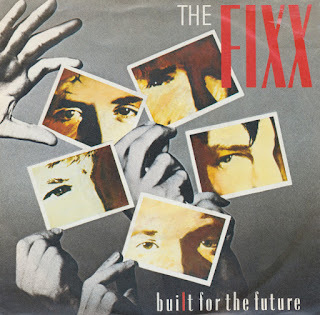 For many years I have procrastinated buying this single by The The. 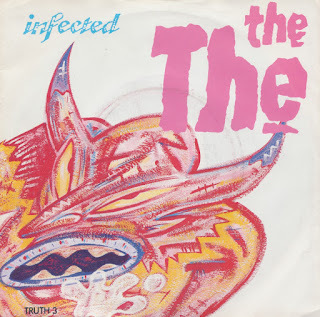 'Infected' was originally released in a sleeve that was deemed too smutty for the general public, and so it was retracted. Only part of the artwork appeared on the subsequent editions. 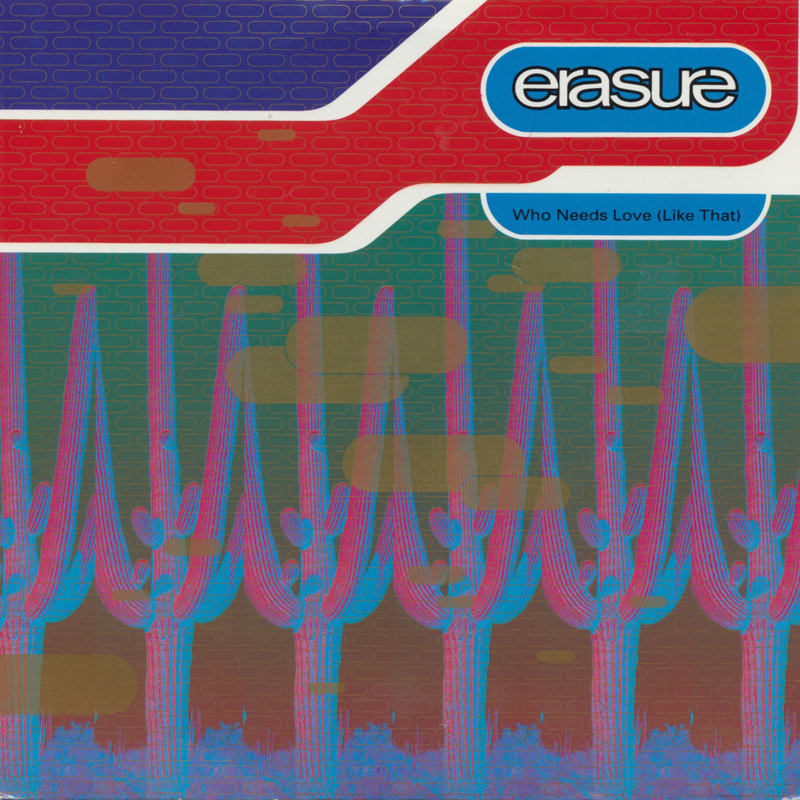 When I started frequenting record fairs (25 years ago), I saw the original sleeve many times, but I never bought it. I regret that now, because of course it can't be found anymore. So I finally caved and bought this copy. It's cheap and in great condition. It will do for now, until I do find that other one. Meanwhile, 'Infected' remains a great track, of course. The B-side sounds a bit like a discarded Tears for Fears B-side. Regular readers of this blog will know that I already posted a version of the 'Dallas' theme two years ago, in a version by the Bobby Patrick Band and the original version by Jerrold Immel. 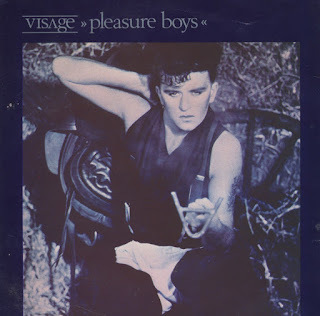 The single here also claims to contain the original version, and despite being quite sure that it wasn't, I was still curious enough to buy this piece. 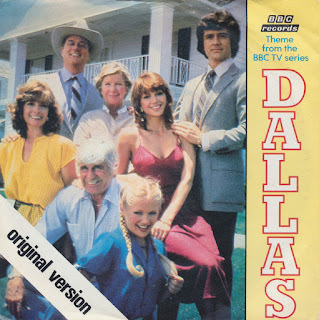 Sure enough, this single has a decent version of the 'Dallas' theme, but not the original. The B-side features a version of the theme from 'Knots Landing', a 'Dallas' spinoff that I never had the chance to see myself. Perhaps if it is released on DVD someday. 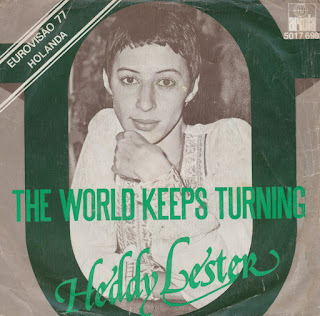 Heddy Lester represented the Netherlands with the song 'De Mallemolen', with a fairly depressing lyric. I wrote about that nine years ago. I didn't know back then, that there was also an English version of the song. It seems to have a more positive stance: even the title is 'The world keeps turning', which seems to offer a glimmer of hope. 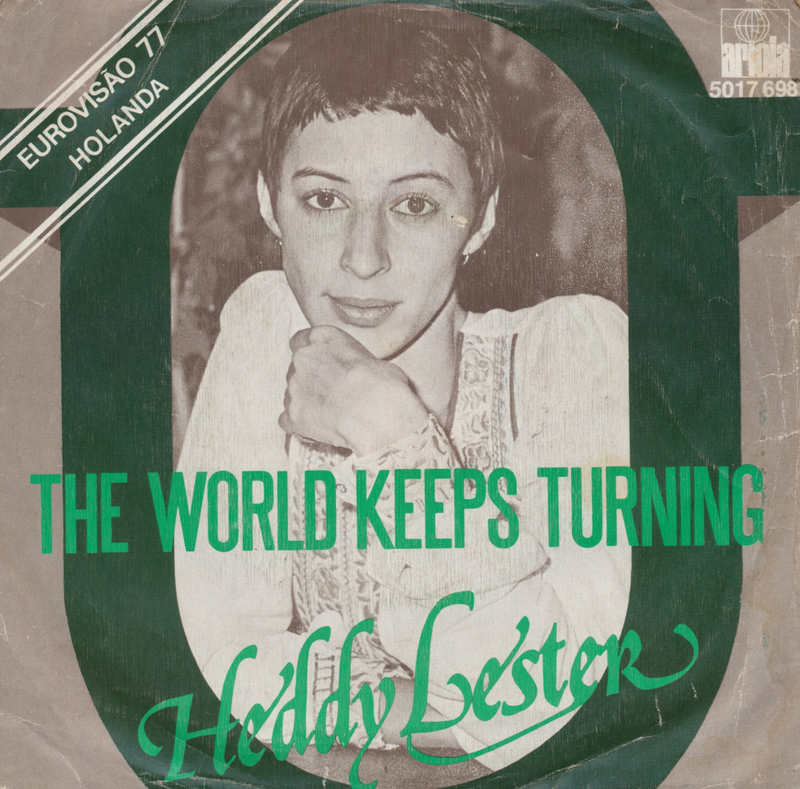 Heddy recorded her song in four different languages: in Dutch, English, German and France. The latter two are very hard to come by, but who knows... as long as the world keeps turning there might be a chance for those to turn up in my collection and on this blog. 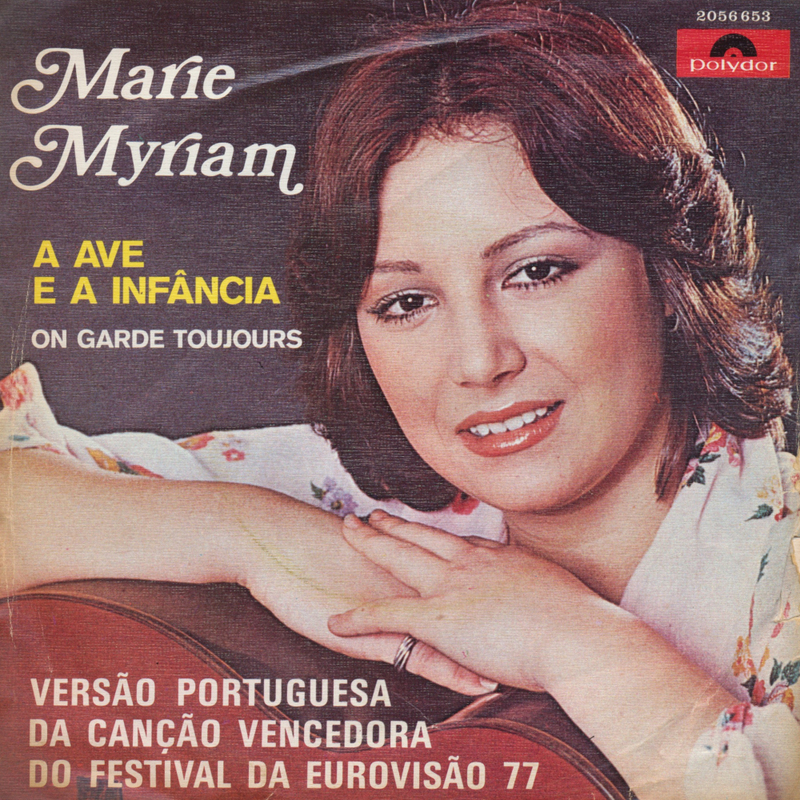 'A ave a infancia' is the Portuguese version of 'L'oiseau et l'enfant', the song that won the Eurovision Song Contest in 1977. I ordered a few singles from Portugal recently and this one came up as well, so I thought I might as well take it. I've always had a soft spot for Eurovision songs by the original artists in a different language.